Having a car is associated with a number of advantages but the biggest among the others is that it is always there at your disposal. No matter if you want to take it for a joy ride or use it for an emergency, it is always there for you. What makes it offer this kind of utility is its perfect operation and flawless working but this becomes possible only when you ensure that it remains in the right shape all the time. There are numerous ways to keep the overall functionality of your car in check but the most convenient one is by making use of an OBD code reader. OBD code reader is a simple device that is plugged into a car in order to get a report on all of its functions. In case something is wrong in any part of the vehicle, the reader detects the malfunction and generates information on its screen. This way you get a heads up on what’s going wrong with your car and you can easily avoid any inconveniences when you hit the road for any purpose. If you are into cars, you would be completely familiar with the fact that maintaining your car in the proper way is critically important for enjoying a flawless driving experience and OBD code readers come in very handy when it comes to making sure of that. 5 different facts that you must know regarding OBD Code readers are discussed below in order to give you a detailed overview regarding the operations and utility of this handy device. Majority of the car enthusiasts are already familiar with the fact that cars contain a number of sensors that help in keeping the owner informed about their functionality. Some of the most common sensors include check engine lights, oxygen sensors, manifold pressure sensors, hydraulic sensors, engine knock sensors, etc. All these sensors are developed in a way that they continuously keep on producing signals and transmitting them to the car’s computer or its ECU (Engine Control Unit). 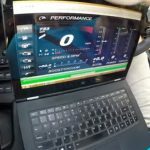 These signals when received by the computer are then used to maintain and optimize the performance of all the components of the car. If the signals generated by one of the sensors are unusual in any way, the computer detects it and generates a DLC code immediately. This is done in order to intimate the car’s owner about the fact that something is not right. As a consequence of this entire process, the check engine light situated by the odo meter of the car gets lit up. The check engine light has two different operational modes. If it stays on constantly, it suggests that the car is experiencing a mild issue that does not require immediate attention. You can check it out at your convenience if you can’t find the opportunity to do it right away. On the other hand, if your check engine light is blinking, your car needs to be taken care of right away. It is not safe to continue driving your car in such a scenario. The check engine light does not offer any specific information on what actually is going wrong with the car. All it tells you is something is not right without pin pointing to the exact issue. This is where the OBD car reader comes in. When you plug it into your car; it acquires the exact information from the car’s ECU and informs you about the actual ongoing fault in the car. The most basic models of OBD code readers usually offer a DLC code only. But if you own a good, professional model, it also offers some useful details on the problem and how to diffuse it. There are many different types of OBD code readers that might be bought according to your own requirements. If you are interested in buying one, first you need to be properly educated about the various kinds so that you might be able to make an informed decision on which kind to go for. The 3 most common types of OBD code readers are discussed below. The basic OBD code readers are designed to produce the very basic information on the error codes generated by your car. When you plug such a device in, all it does is come up with the DTC code without any practical information. You may then look up the code on the internet in order to find out what it means. This kind of readers is not the best kind so it is not recommended. The Do It Yourself OBD code readers come in very handy if you are a person who likes to fix the issues with your car on their own. This type of readers is designed to come up with the DTC code along with practical information on the ongoing problem and a few recommendations on the fix as well. So if you are interested in buying an OBD code reader, you might as well buy this one as it offers some really useful information unlike the basic one. In addition to this, you may also get this device connected to your computer or smartphone in order to access the information more handily. This kind of code readers are very advanced level devices that offer a wide array of information that might not be very useful for you as a car owner. That’s the reason why the professional models are used only by car manufacturing factories and high end workshops. In order to get benefited from this handy device, you need to be completely familiar with how to use it properly so that a proper and safe operation might be ensured. Different kinds of OBD code readers may be found in the market and obviously every one of them offers different types of consoles but the overall principle of operation is pretty much the same for all of them. Therefore the most generic SOPs for using OBD code readers properly are discussed below in order to give you a general understanding. OBD code readers can be synced with mobile apps that offer a number of useful features. You may find a number of applications for both android as well as iOS on the internet. Different apps offer different features and it is really important for you to find a good app in order to make the most out of your experience. Therefore, the first step involved in the safe operation of an OBD code reader requires you to find the right application for your device. The DLC or data link connector port may be referred to as a 16 pins port which provides access to the ECU of a vehicle. Almost every car incorporates this kind of port. However its location may be different for different models. In majority of the cases, the port is present under the dashboard of the vehicle. You can also consult your car manual if you are unable to locate it on your own. When you have located the port in your car, it is now time to play the device. It is important that you connect the reader in the right orientation. Otherwise the pins of the port may get disoriented, leading towards unwanted trouble. Plug in your device and try to turn it on. If your device incorporates its own battery, it would light up immediately. Otherwise you would have to turn the car engine on. In case your OBD code reader does not switch on even then, it means that its broken or there is some other issue. When the device is up and running, you can initiate the first scan of your car. In case the check engine light or some other malfunction sensor is on, the scanner would come up with the error code along with some practical details on the ongoing issue and recommendations on how to fix it. As mentioned above, taking the right precautions is really important for the safe usage of your car as well as the device. The most critical thing to keep in mind in this regard is that you need to connect it to the port properly. Otherwise it may lead towards trouble which may cause some serious damage to your car as well as the device. 4. 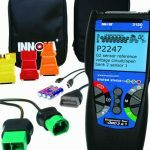 Why should you buy an OBD car code scanner? Does your car need it? The OBD code reader has the ability to serve as a life saver by allowing you to prevent your car from sustaining some fatal damages. If you are interested in staying in constant check with the exact condition of your car, it is highly recommended to buy yourself a good OBD code reader. These devices have the ability to save you a lot of time as well as money. Consider a scenario in which your check engine light turns on and you do not have time to take your car to a mechanic. You keep on driving your car and the issue transforms into something more serious and your car breaks down in the middle of the road. It would cause you a ton load of inconvenience, time and money to get the car back up and running. Now consider another situation where the check engine light turns on and you immediately plug in your OBD car code reader to find out what’s going on there under the hood. When you find out about the issue, you can understand the gravity of the situation and do something about it before it gets bad as you get completely educated with the exact issue. In addition to the above mentioned arguments, you also need to know that when you take your car to a mechanic knowing something is wrong with it, they would charge you a good deal of money even if its only a minor issue. On the other hand, if you have an OBD code reader, you can check out the ongoing issue on your own without getting charged with a heavy fee. As far as the car’s requirement for an OBD code reader is concerned, it may be thought of as an intermediary between you and your car. You may also think of it as a gateway to get into your car. Whenever you plug it in, the OBD code reader generates first hand information on the condition of your car which might be used for the benefit of the car. When you stay on top of the exact ongoing situations under the hood, you get to have a good idea about when to make your next stop to the mechanic. As discussed in the sections above, OBD code reader may serve as a life saving device for your car as it allows you to keep your car in check while enabling you to save your time and money at the same time. When it comes to buying this kind of device, there are a number of factors that must be taken under consideration in order to make the most appropriate purchase. A few details that might come in very handy in this regard are discussed below. Majority of the OBD code readers normally require some sort of software or application to run and demonstrate all of its functionality properly. Without properly compatibility, this device is completely useless and can’t do you any good. Therefore it is very important to ensure that your device offers the right kind of software compatibility. Another thing to take care of is the connectivity options offered by your device. A few of these devices come with wifi and Bluetooth connectivity while others connect to the PCs through USB cables. It is important for you to be sure of the connectivity offered by the device and make sure they suit your requirements. Before you buy your new OBD code scanner, it is recommended to do a little digging on the technical support offered by the manufacturers. This is really important so that you might not end up wasting your hard earned money in case something goes wrong with your device. The firmware running on the OBD code reading devices are pretty similar to the operating system of a smartphone or a computer. With the passage of time, the firmware gets more evolved and improved as it get educated with the latest information on the problems that it is meant to detect. So before you buy your device, it is recommended to make sure that the manufacturers are still producing firmware updates for that specific model. Otherwise, don’t buy it. Whatever it is that you are buying, paying any extra money is never a good idea. 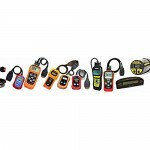 Therefore, it is very important for you to check out the market in order to make sure that you pay the right price for your code reader. There are different models available in the market. Check out their offered features and analyze their rates to make the most suitable purchase. It always helps to check out the reviews posted by the existing users of a product. This way you get to have an idea about what its actually like to use the device from an end user’s perspective. Never buy a product that is associated with negative reviews. In the light of the arguments given in the sections above, it may be concluded that the OBD code reader is a very handy device that can do wonders for you. It offers you a high degree of utility since it allows you to stay on top of the exact condition of your vehicle. Not only that but it also enable you to save a good deal of money as well as time by letting you avoid any unwanted inconvenience on account of car breakdown. The article discusses five different facts regarding the functionality and handiness of the product in order to give you a detailed overview on the utility, operations and usage of the device. In order to sum it all up, it may be said that OBD code reader is a fine investment that pays off really well within no time. So if you are a car owner, having such a device at your disposal is highly recommended.